Playing multi-line slots online (or multiple-payline slots) is more exciting, but multi-liners are also more complicated compared to single and even triple payline slot machines. The latter are easier to comprehend because a quick glance at the display window confirms whether the spin produced a win or a loss. Multi-line slots are a different kettle of fish. Such games have five columns and often five rows. There can be anywhere from 9 to 50 paylines and they pay not just horizontal but also in zig-zag fashion. Instead of bars and sevens or cherries and lemons, there is a multitude of symbols and icons, usually related to the slot machine’s theme or story. Because of the multiple paylines on online video slots, it’s possible for more than one winning combination to appear simultaneously. This is an example of a typical multi-line slot screen showing several winning lines. This Tomb Raider Video Slot features 30 paylines! Players can choose to bet on any number of lines and also on most machines, the wagering unit can be set from 1 cent to $5 per line and spin. In addition this makes multi-line online slots suitable for gambling budgets ranging from frugal to high roller. The probability of a win is the same for any line. If on a tight budget, rather than betting a higher amount on a few lines, it might be wiser to divide and spread the total bet over all the lines. That way you won’t miss out if the lines you didn’t bet on are winners or display the symbols that would have given you bonus games or free spins. Personally, I am not good at reading video slot pay tables, so I rely on the machines not to cheat me. I am confident the computerized program calculates and pays wins accurately. But I always make sure I know which symbols produce bonus games and free spins before I start spinning. The anticipation of getting to play “a free game within the game” and winning extra money, adds excitement. Immortal Romance relatively new on the scene and could also become the most exciting online slots game ever created. The theme is a tale of forbidden love, featuring a cast of enchanting witches and vampires. A haunting original musical score accompanies your play. There are 243 ways to win and special features including Chamber of Spins, and ‘Wild Desire’. Created by Real Time Gaming (RTG) software, this multi-line slot game has 5 reels and 20 paylines. As the name suggests, this slot game is set in ancient Egypt. Cleopatra, Pyramid, Scarab, Egyptian Eye and hieroglyphics are the symbols that help conjure up images of riches and intrique from another world, in a different time. Climb the pyramid in pursuit of the gold! This 5-reel 9-payline slot game comes from Microgaming software. It is perhaps the most popular and also the most frequently played game at online casinos. The image of Thor is the wild symbol in Thunderstruck. Any winning combination that includes Thor doubles the win. Three, 4 or 5 Scatters activate up to 15 free spins. Wins are tripled during free spins. An exciting game to play. Free spins can be re-triggered. I have seen an accumulation of over 30 free spins before. Winning over 100 times your bet is a reality although not too common. Aztec’s Treasure is another Real Time Gaming creation based on ancient history. This time it’s the civilization of the Aztec Indians and their way of life. It is a 5-reel, 20-line video slot game that features images depicting how things were ‘back then’. The maximum win is 50,000 times the bet per line. Up to 25 free spins; wins during free spins cycle are tripled. The above are my suggestions for my favorite multi line online slots where winning substantial sums is possible. Therefore should you be after a really humongous jackpot, you might look at this Progressive jackpot. Mega Moolah is considered the granddaddy of online progressive slots. You can win well over one million on this machine! Mega Moolah is a Microgaming slot with 5 reels and 25 paylines. The jackpot on this monster is truly a life changer. 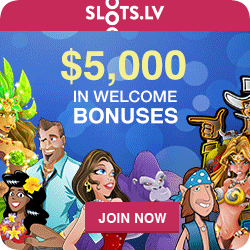 Play FREE multi-line online slots.